I couldn’t let my batch of homemade pumpkin pie spice go to waste. 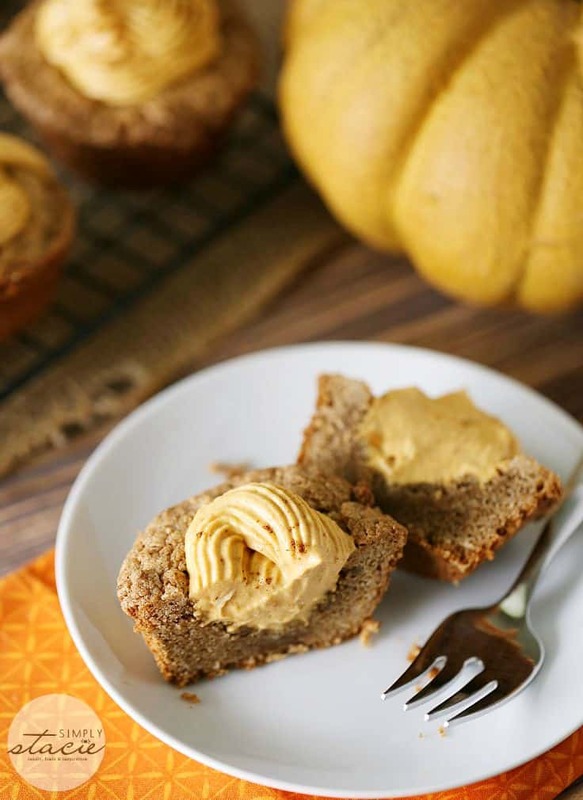 That same day, I whipped up a batch of these scrumptious Pumpkin Spice Cake Cups. The cups are a doctored spice cake mix that I made into the shape of a cup with the help of a muffin tin and spoon. The filling is my fave part! It’s a creamy, smooth pumpkin cheesecake. And boy is it good! It’s extra decadent with a whole package of full-fat cream cheese. I don’t like the low fat stuff. I figure if you’re going to indulge, get the good stuff. I mixed in a half cup of canned pumpkin pie filling, icing sugar (aka powdered sugar) and a tsp of pumpkin pie spice. I wanted to eat it from the bowl, but I held back. This is one of those desserts that makes you go, “Mmmmm”. My friend, Sherry, was over and tried them. She told me they were delicious and asked if she could have another. That’s a great sign you’ve got a winner on your hands. I used a regular sized muffin tin to make these treats. You could use a mini muffin tin and get more to go around. Little bite sized pumpkiny treats! What pumpkin desserts will you be making this fall? Indulge in a batch of this delicious fall dessert. 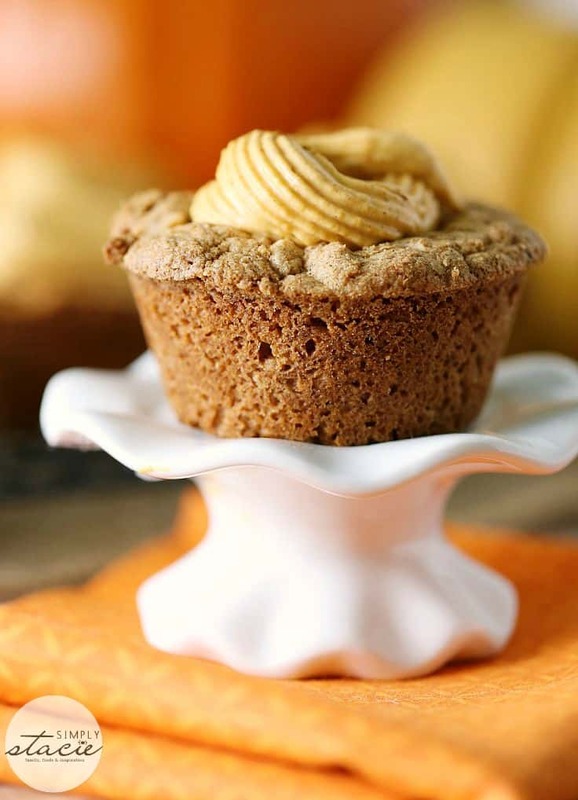 These Pumpkin Spice Cake Cups will not easily be forgotten! Place back in the oven for another 5 minutes. They should be almost ready by now. Remove from the oven and use the spoon again to poke the center to make it cup-shaped. Put back in the oven for another 5 if needed. In a mixing bowl, beat cream cheese, pumpkin pie filling and pumpkin pie spice until smooth. Pipe into cake cups with a piping bag and Wilton tip. Garnish with a sprinkle of pumpkin pie spice, if desired. Yum, love anything Pumpkin Spice! Thanks for haring the recipe, I am definitely makng these this fall! You post such pretty desserts, and this is an easy one to make. I love the color and this is a perfect cake to make for Fall. I will be making this recipe, and thanks for sharing!! Thank you for the great recipe, these are going to be my new awesome cupcakes!! I love anything to do with pumpkins! oh oh I think these are going to be delicious! These look AHMAZING!!! I’m definitely going to be making these this Fall!! I love everything pumpkin. Thank you so much for stopping by Wonderful Wednesday blog hop and linking up. 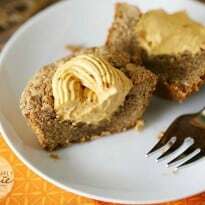 I pinned this yummy pumpkin treat to several of my boards. Holy yum! I saw this over on Fluster Buster link party, and just had to come check it out. For sure going to have to pin this one for later. These cake cups look delicious. Stacie, this is beautiful. So popular on our most recent Wonderful Wednesday Blog Hop that it will be featured this coming week. Congrats! 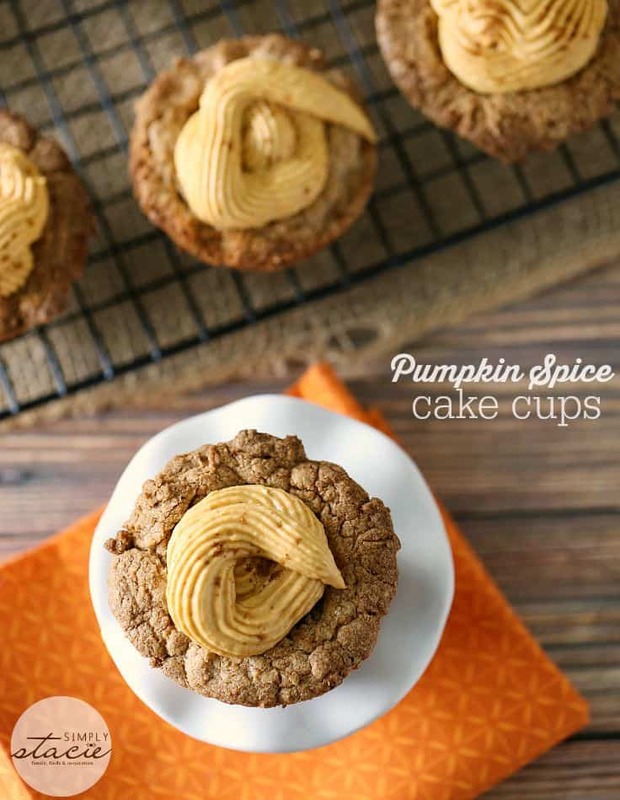 These are awesome Pumpkin Spice Cake Cups! Hope you are having a great day and thanks so much for sharing with Full Plate Thursday. I love all things pumpkin right now. These look delicious! Thanks for linking up to the Handmade Hangout! I will be featuring this today on my blog when the new linky goes live at 6pm ET. I hope you’ll stop by to see your feature and link up again! Stacie these cake cups look amazing. I want some and will definitely try them out. I am sharing your post this week at Beautifully Creative Inspired Link Up as my one of my favs. Please pop on over and grab the featured badge, share and link up another post this week.